Note the slightly angled camera for that pseudo-2D look. I’m sure I will be tweaking it further a lot, but it gives the basic idea of what I am going for. 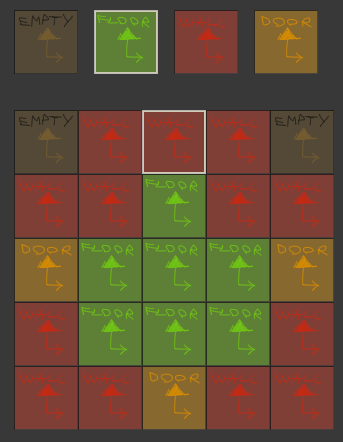 The way I plan to do the level layout is to have a grid of rooms (sort of like Binding of Isaac, but with more variable room shapes and camera is not fixed). Each room is a self-contained collection of tiles. The rooms then connect to each other, forming a dungeon. 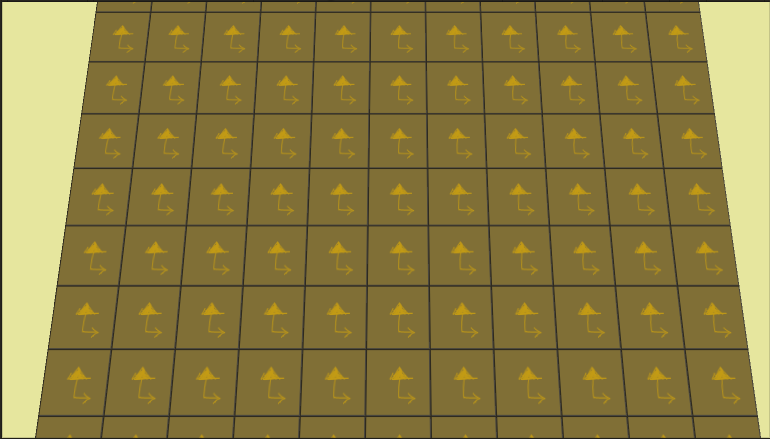 This means the tiles in the world are actually the ones I want them to be under the current “tileset”. Each room is an asset. And a bunch of similar rooms form a collection of rooms. These collections can be referenced by a level (asset). 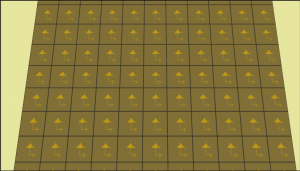 So, for example, I could have a bunch of variations of generic library room and the current level might be a library. 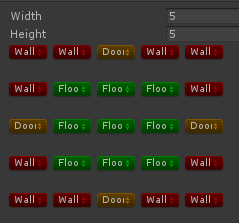 This saves some redundancy of trying to drag&drop dozens of assets that are shared between levels. The above is a start room, a few regular room and a goal room. The above is lots of framework and details to set it all up for later content creation. 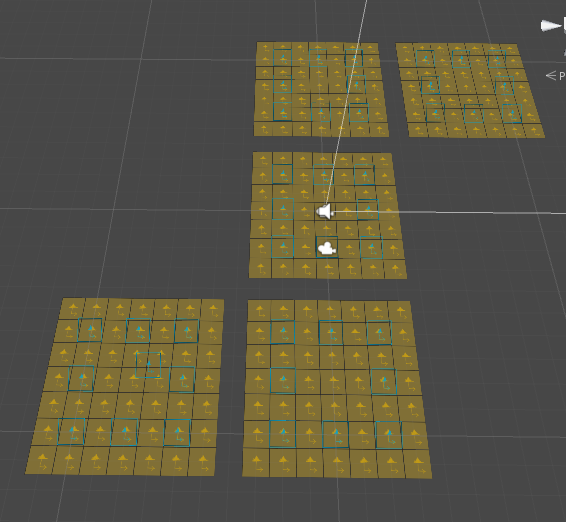 It also happens to be very screenshotable, so this post is already long by itself and it only talks about the basics of tiles. There are so many features and mechanics that I will still need on top of this. Not to mention an actual dungeon generator. I’ve worked in parallel on player movement, but I will cover that separately. You can see dummy red mobs on the tiles and the green player.